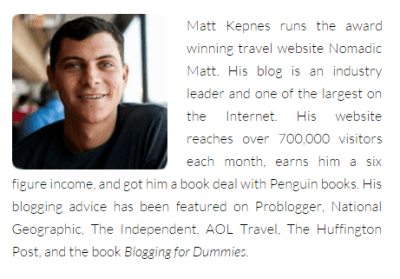 If you have followed my travel blog the last few years, you will have seen that I follow Nomadic Matt AKA Matt Kepnes. 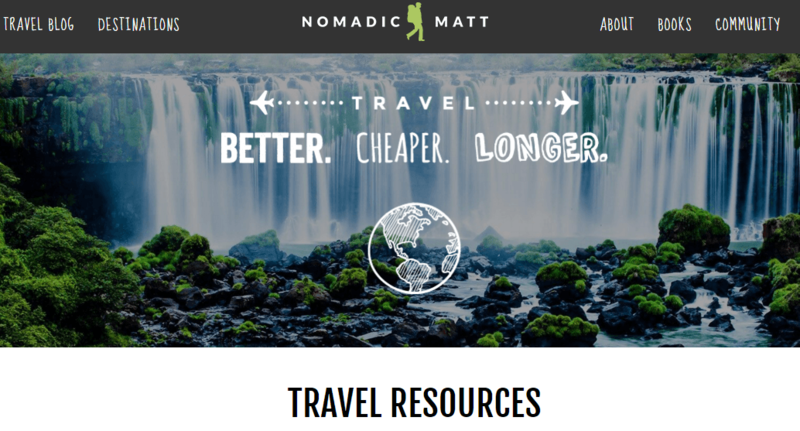 Matt owns the number one travel blog on the internet, where he uses his expertise to help you travel Better Cheaper Longer. 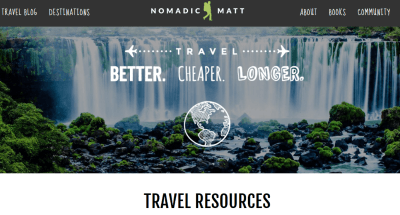 He knows how to plan trips, how to save you money and how to create fantastic travel blogs. 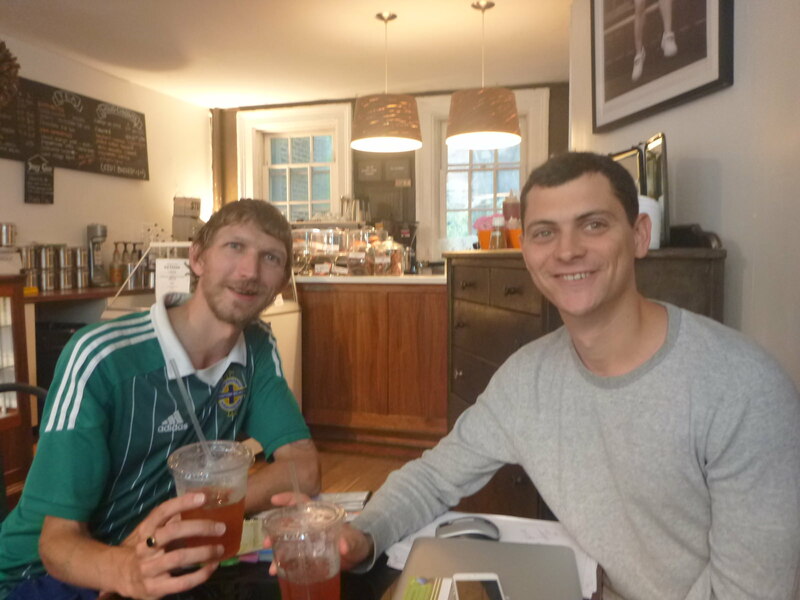 In the past I have used his guides as well as meeting up with Matt in person in New York City in 2014, which was a great moment. Afternoon tea with Nomadic Matt in NYC. I’m delighted to hear about his new course, just launched in 2016, known as Superstar Blogging. This is the ultimate course for any new bloggers or developing bloggers to make the step from a hobby blog to a business blog where you can earn money from it. You can find Matt’s new site, Superstar Blogging here. 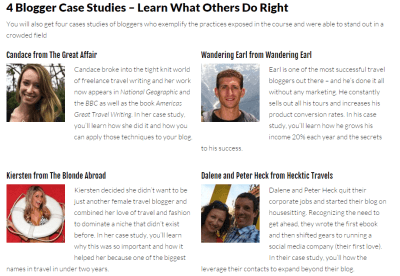 This latest course is designed to help travel bloggers live out that dream of going professional and comes well recommended. Also on the course are expert guides from the likes of Wandering Earl and Jodi Ettenberg, two fellow travel bloggers. Sign up here for Nomadic Matt’s course on Superstar Blogging! The course is so detailed, it’s almost like a degree! A training program over a period of three months features 9 units on Design, Branding, SEO, Product Creation, Social Media, Newsletter Marketing, Writing, Setting up Your Blog, and working with companies and PR. There is a whole lot more on this course including Tech Support, Free Themes and access to private groups. This entry was posted in Book Reviews, Books, Dont Stop Living, eBooks, How to Make Money With Your Travel Blog, Lifestyle Design, North America, Travel Blogging. Bookmark the permalink.